Either the driver or passenger may cancel the ride. If you are comfortable driving, always make a second call to the passenger the day of the ride (the passenger may want to cancel). If the ride is cancelled, be sure the office is informed. If you are doing one leg of a round trip, be sure to call the office to assure other driver is contacted. Neighbor Ride does NOT follow the Howard County School or Government cancellation policy. If the schools are closed, the 50+ Centers are closed. If the schools have a 2 hour delay, the Centers open at 10:00 am but the Connections Program is closed. We would like to thank Tony Anderson, Janet Rodriguez and Rosemary Noble for representing Neighbor Ride at the Caregivers Conference. We would also like to thank all those who dined at Tino's and those who attended the Manor Hill Brewery Fundraiser. 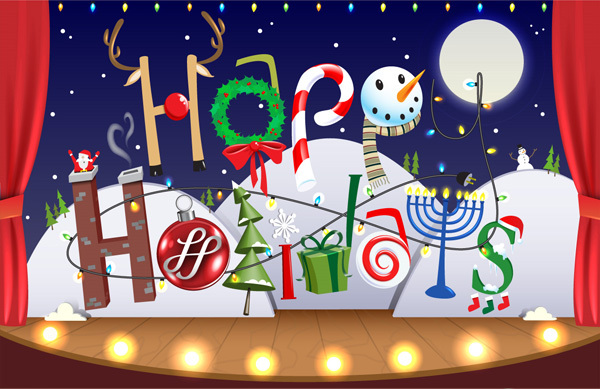 Special thanks to Suzi Padgett of Long and Foster Columbia, the Manor Hill Event Sponsor; Lutheran Village at Miller's Grant who provided desert and Nick Rocco and John Moore of Prosperity Home Mortgage and Richard Watson of Long & Foster Columbia who were our dinner sponsors. Our Annual Giving Campaign is underway. 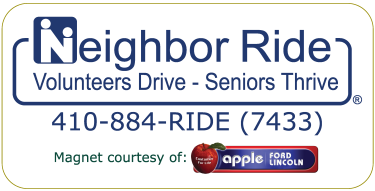 As we celebrate Neighbor Ride's 15th year of serving seniors your generosity is greatly appreciated. "Neighbor Ride really enriches my life and helps me maintain some independence." "Service and assistance is excellent. Well appreciated. Thank you for your caring spirit." "The drivers are pleasant and always converse." Shop thousands of stores, browse hundreds of discounts, and donate to us, all at the same time! Discover Goodshop today.